Need Durabrand TV remote codes? If you need the codes for your Durabrand TV to control it with a universal remote control, these codes will operate your Durabrand TV. We have the 4 digit codes below for your TV that are working. If the first does not work keep trying the codes down the list. Your Durabrand TV can be controlled with a universal remote and work with RCA remotes, Comcast, DirecTv, Cox, and more. 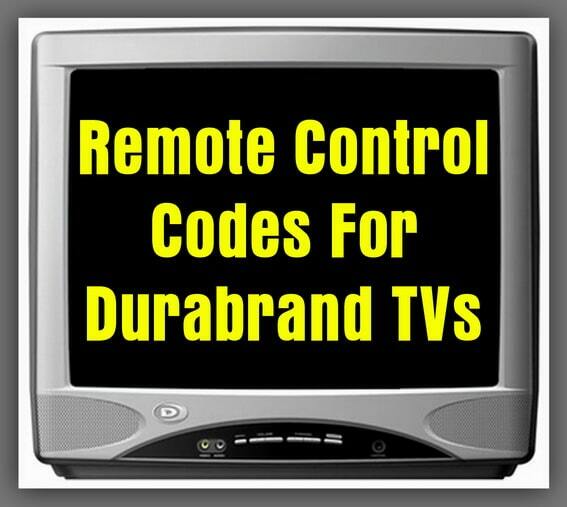 Do you have any other codes to add to the list for Durabrand TV remote codes? Please leave a comment below.